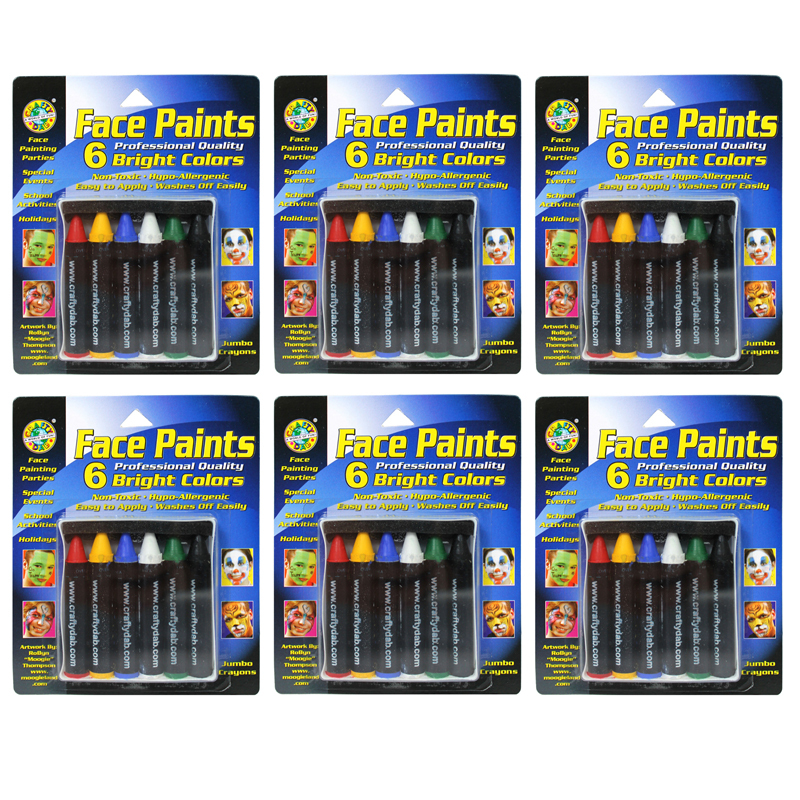 These easy to use face paints are fun and creative! Made with the highest quality materials to ensure professional face paint designs, they include skin conditioners like lanolin and beeswax. Jumbo, bright colors. 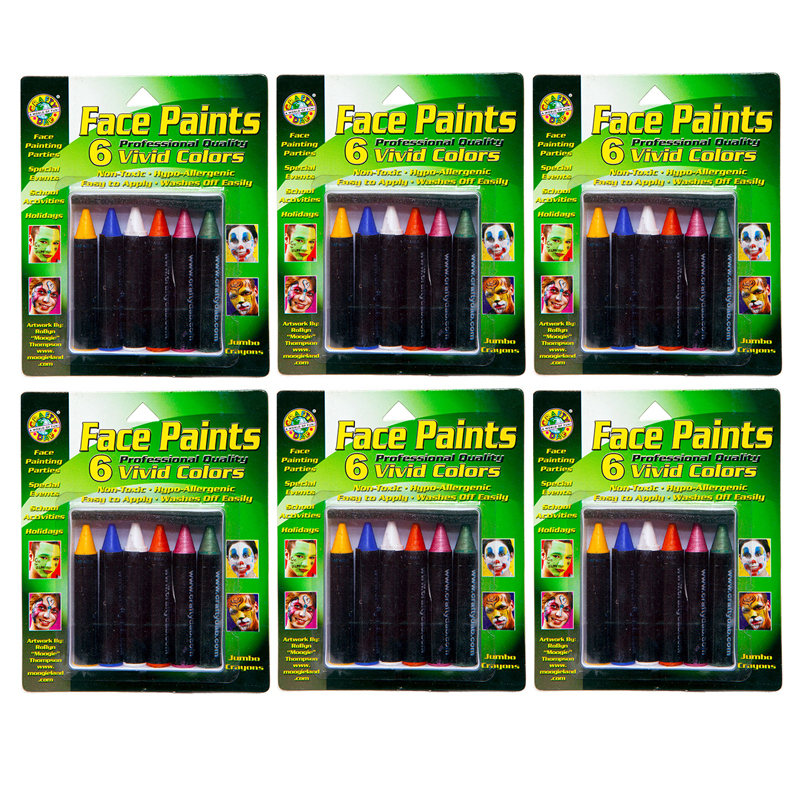 Each individual pack contains 6 Face Paint Crayons, Bundle of 6 packs, 36 Face Paint Crayons total. 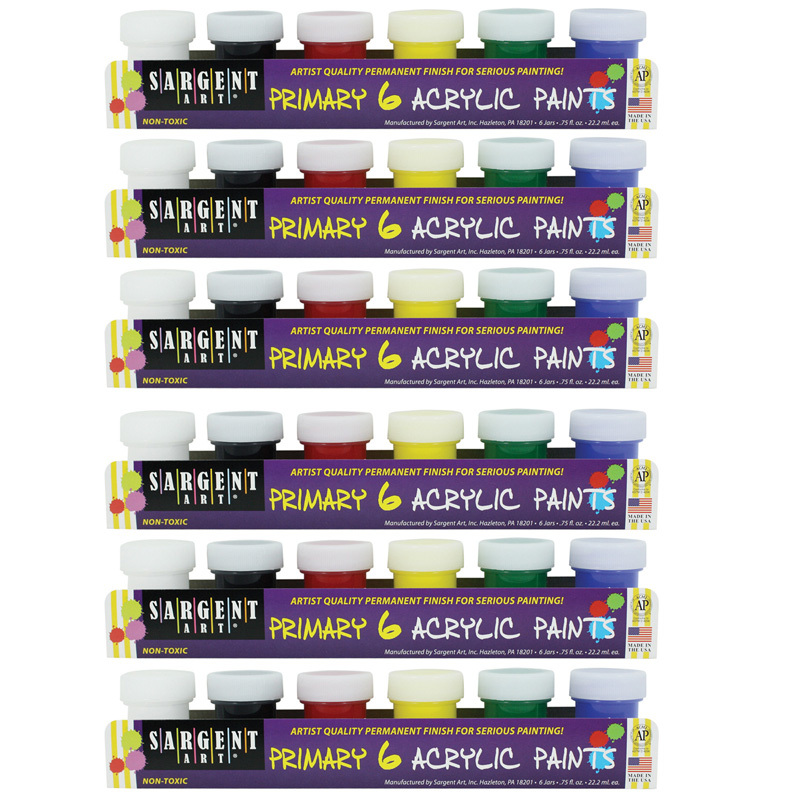 The (6 Pk) Crafty Dab Jumbo Crayon Facebright Paints 6 Per Pk can be found in our Paint product category within the Arts & Crafts.